I hope you are having a wonderful summer! 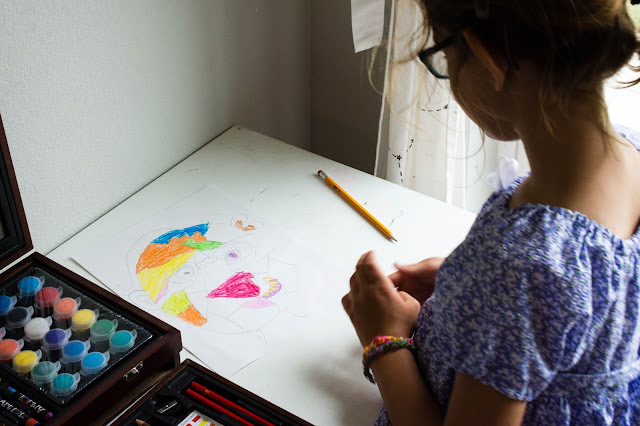 Today I'm sharing with you the next installment of my summer art series, and this time it's about Pablo Picasso! This post is probably my simplest art project to date, but it's still fun. And the benefit is that there really aren't any expensive or hard to find supplies needed for this project, which is really awesome! 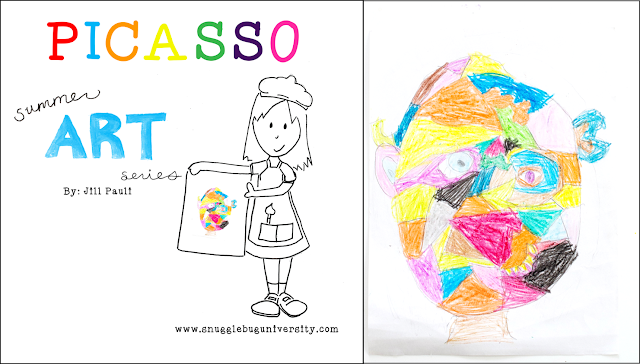 I used this lesson as an opportunity to teach the kids a lot about cubism and perspective, which they enjoyed. 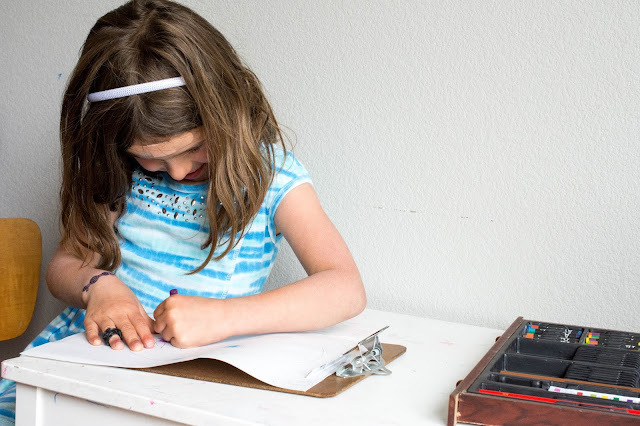 In Ellie's class at school she played a "roll a Picasso" game where she rolled a dice to figure out what facial feature to draw. The kids loved the rolling aspect, but Ellie really just wanted to draw what she wanted this time so we kept it simple. 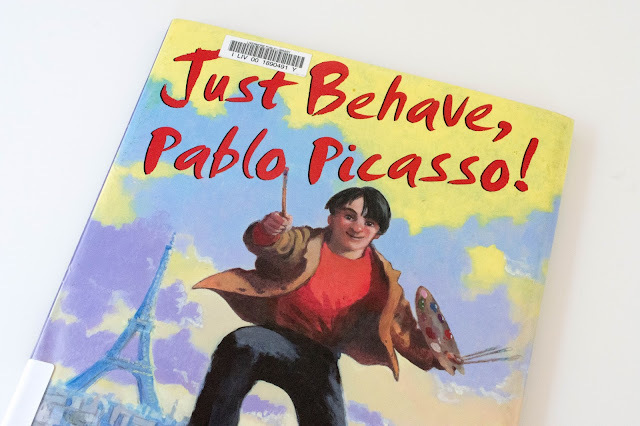 We also read this book, Just Behave Pablo Picasso! It's so good!!! I think it might be my favorite of all of the art books we've checked out so far. We used oil pastels for this project. 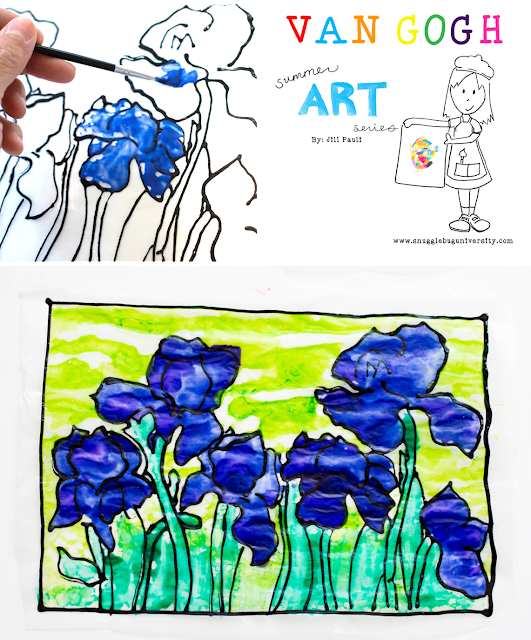 I reminded the kids of some of the techniques we'd learned when I introduced them to oil pastels last fall. 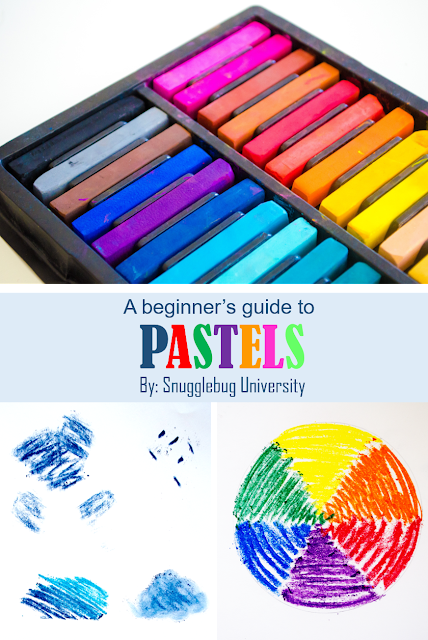 Here's a link to that post on pastels and pastel techniques. The project itself was really easy. 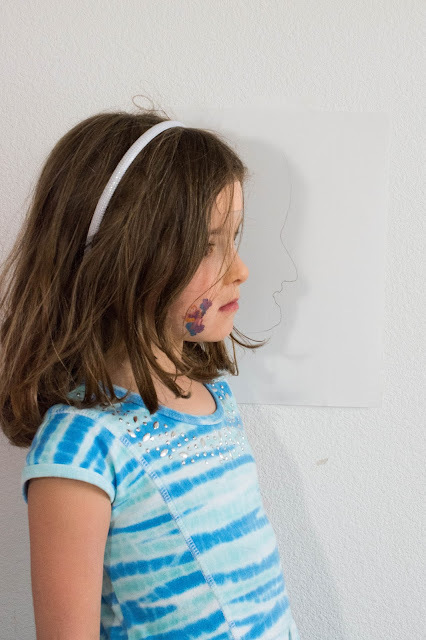 I taped a piece of paper to the wall, and I had the girls trace each other's profile. Then we talked about how we couldn't see the other side of their face, but how Pablo Picasso wanted you to be able to see both sides. 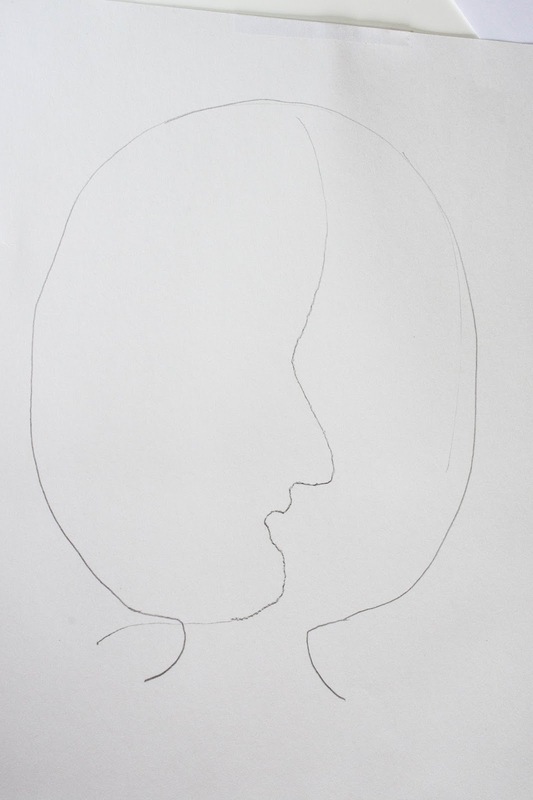 So we turned the profile into a more normal head shape, so we could see the other side. I had the girls draw in lines across the face to create different sections. Then I told them that they could go crazy with oil pastels! All colors and facial features were allowed. They had so much fun with this and thought it was so silly to have so many different colors. We talked about how different colors might make them feel different ways....and how they could make a "sad" person or a "happy" person by the color choices that they picked. That was basically it! Just a simple afternoon exploring some fun concepts! Have a great week everyone! 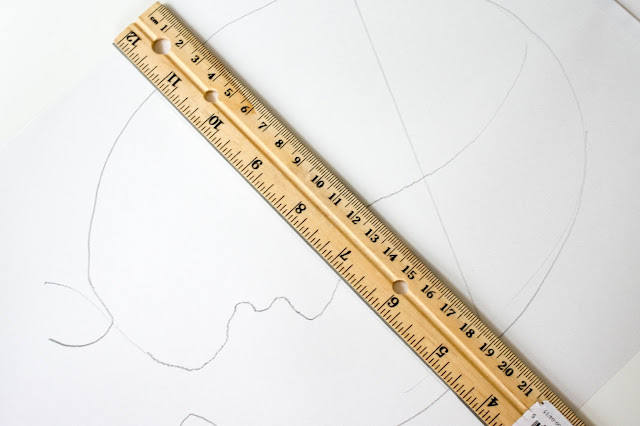 I'll have our next art lesson in two weeks...and it's going to be on Frida Kahlo! It's going to be really fun! 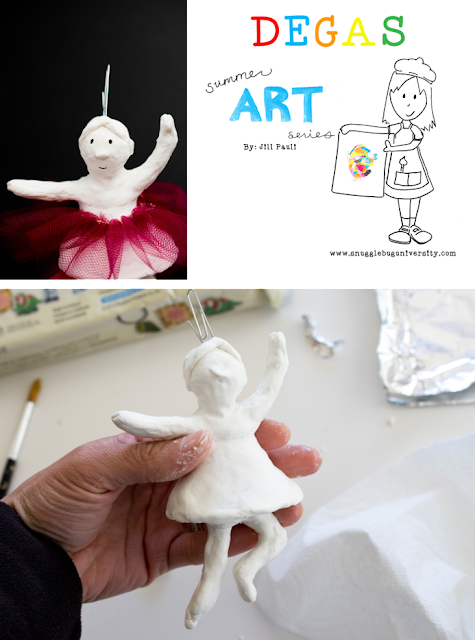 Until then, feel free to check out my last two projects inspired by Degas and van Gogh.